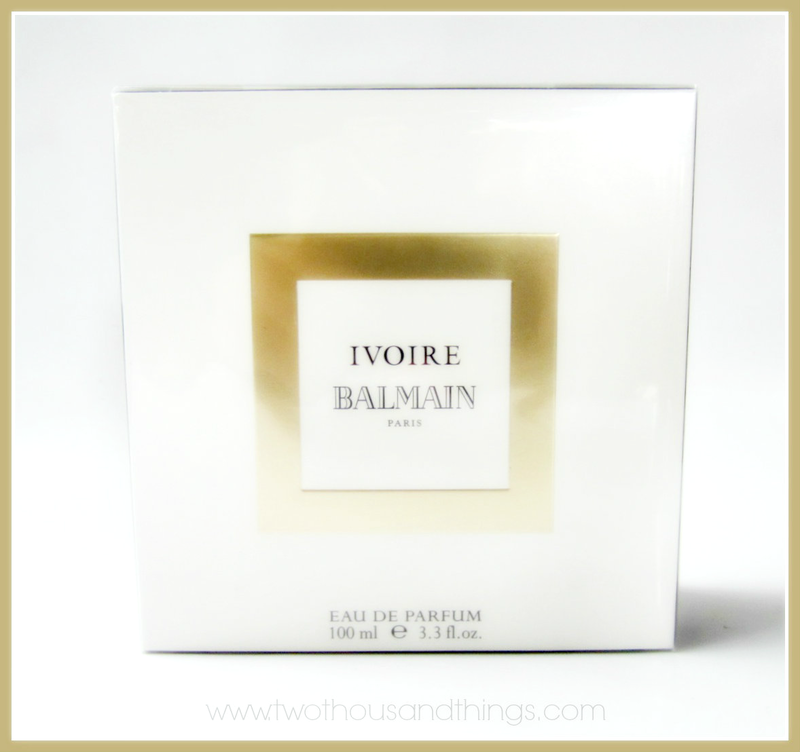 If you read my previous post about the Ivoire Balmain media release event that I attended a while ago, you probably remember that I promised a full review of the perfume. 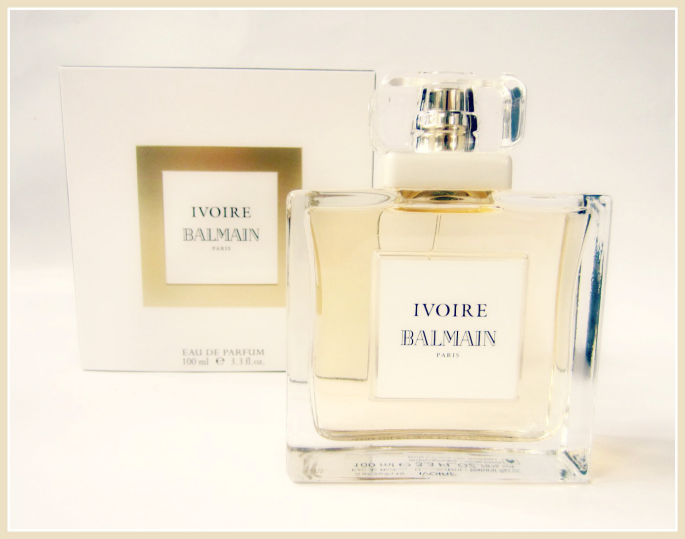 Well now here is the full review about the Ivoire Balmain. 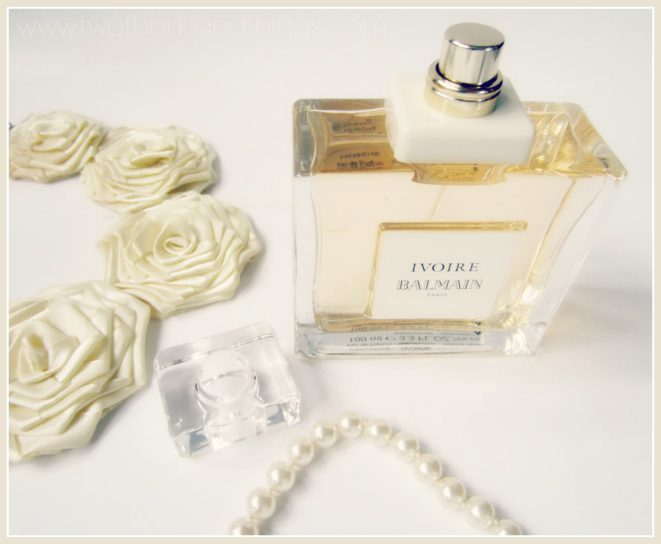 To remind you, Ivoire Balmain is the newly re-launched and re-introduced perfume from the house of Balmain. This perfume was the last perfume created by Pierre Balmain himself before he passed away, and it is being re-introduced with updated scents that still keep its originality but with a little touch of modernity. This is an Eau de Parfum, and the scent is slightly updated compared to its predecessor. The new version of Ivoire has an overall classic and feminine scent with fruity floral notes and powdery base. The bottle itself is a classic glass bottle with transparent body, just like the original bottle. This type of bottle is very typical of the classic style perfumes. I already love the classic appearance of the bottle that looks elegant and sophisticated, it looks pretty sitting on top of my vanity right now. My first impression when I first sniffed the sample at the event was: "powdery". Which then quickly turns into a very elegant fruity floral scent with hints of citrusy notes. A mature type of fragrance with powdery notes that would gradually turns into a softer and delicate white floral scent. This might not be suitable for teenagers or younger generation, but if you're 20 + and up you can definitely try this one especially for a special night out with your loved one, or for special occasions. It has moderate sillage and you can put several layers or several sprays of this perfume to achieve a stronger scent if you like. But if you prefer a lighter and more subtle scent then you can just wear this perfume 2-3 sprays only, just to get that elegant floral-fruity scent that does not overpower. Overall, it's a classic-feminine scent with powdery top notes and delicate white floral tones imbued with sweet fruitiness. It might come off a little bit on the strong side at first spray but then it'll gradually subsides into more delicate scent that will linger on your skin. After a few hours it will dry down into a sweet fruity scent that feels elegant yet luxurious. You can wear this as you like, whether you like it subdued or more well-defined. I usually wear 2 - 3 sprays of this perfume so that I can bring the soft trail of classic floral scent with me everywhere I go. The durability of the scent is quite everlasting too. On me the scent stays for hours and hours. I wore it in the afternoon and the scent still lingers on me when I'm about to get to sleep at midnight and I can even smell the trail of scent the next morning! So I gave this perfume a thumbs-up for that. Remember, that perfume works differently on different people so this is only based on my experience. What did the guys say? So this is a date-approved perfume especially if you're in your late twenties or beyond, or simply for mature women, a modern woman who already knows what she likes and wants, and is independent, and appreciate the beauty of heritage. So how about you? Do you like a feminine scent or a classic floral scent? 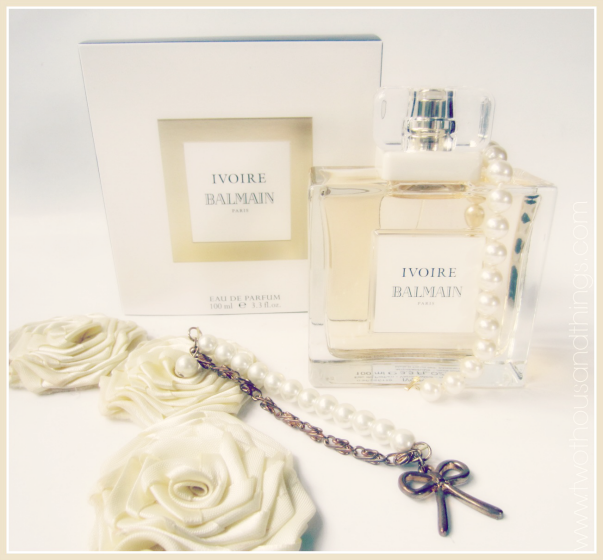 Or have you tried or sniff this Balmain Ivoire before? What do you think of it?